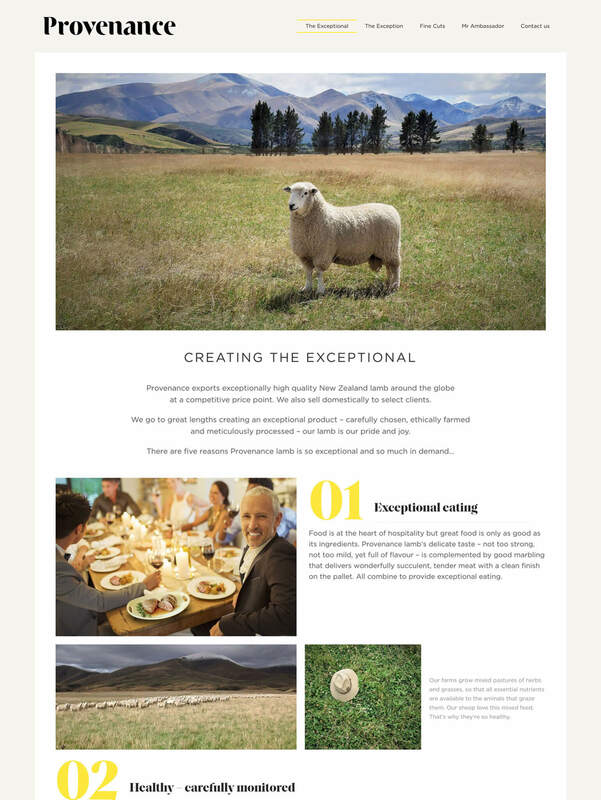 Provenance Meat is a global exporter of ethically farmed, high quality New Zealand lamb. They needed to create a WooCommerce food order system to sell lamb to chefs and restaurateurs all over the world. After researching suitable plugins, they discovered our WooCommerce Product Table order form plugin. They used the plugin to create a user-friendly WooCommerce food order form. The order form is professional, clean and simple-looking to match the rest of the website. There are columns for product image, SKU/code, product name (cut), price, plus multi-select add to cart checkboxes with a single ‘Add Selected to Cart’ button at the end of the order form. Customers can use this one-page order form to see all the information they need, select products and add to the cart in a single click. Provenance Meat have cleverly hidden any unnecessary elements from their food order form to keep it clean and simple looking. For example, they have hidden the search box and pagination buttons because they are not needed on an order form of this size. They did this using the options that come with WooCommerce Product Table. The food order form on this website uses a membership plugin and is only available for logged in customers. You can achieve something similar with our WooCommerce Private Store or WooCommerce Password Protected Categories plugins. Please note that WooCommerce Product Table comes with a price column to display costs in the order form. We have removed the prices from the screenshots for confidentiality reasons. 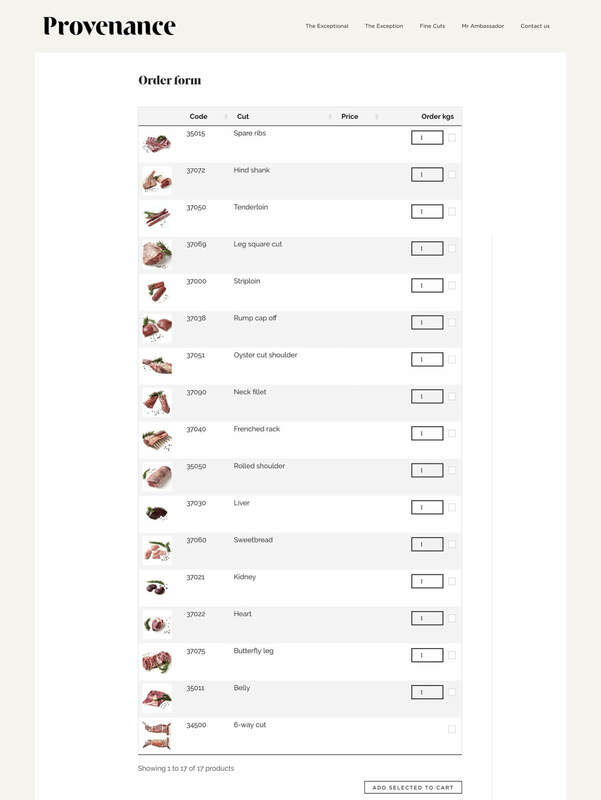 Provenance Meat have added their WooCommerce food order form to an area of the website that is only visible to logged in customers. Use product tables to create your own WooCommerce food order form.